Suspense, romance, and the paranormal meet in this chilling urban fantasy, the first book in a new series from Kami Garcia, bestselling co-author of the Beautiful Creaturesnovels. Kennedy Waters didn't believe in ghosts, until one tried to kill her. When Kennedy finds her mother dead, her world begins to unravel. She doesn't know that evil forces in a much darker world are the ones pulling the strings. Not until identical twins Jared and Lukas Lockhart break into her house and destroy a dangerous spirit sent to kill her. The brothers reveal that her mother was part of an ancient secret society responsible for protecting the world - a society whose five members were all murdered on the same night. Now Kennedy has to take her mother's place in the society if she wants to uncover the truth... and stay alive. 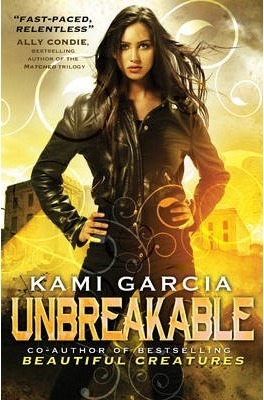 Kami Garcia is the co-author of the bestselling Beautiful Creatures series which is now a major feature film. The legion series is her first solo writing project. Kami is also a Teacher and Reading Specialist with an MA in education, and leads book groups for children and teenagers. She lives in Los Angeles, California with her family.